Miranda Cox, Kirkham councillor. 13 anti-fracking activists, climate protectors, the day before doing a joint lock-on outside Quadrilla's drill site in New Preston Road, Lancashire. The campaign against the drilling for shale gas has been going for years and since January 2017 many have taken to block the gates to deny Quadrilla being able to drill. 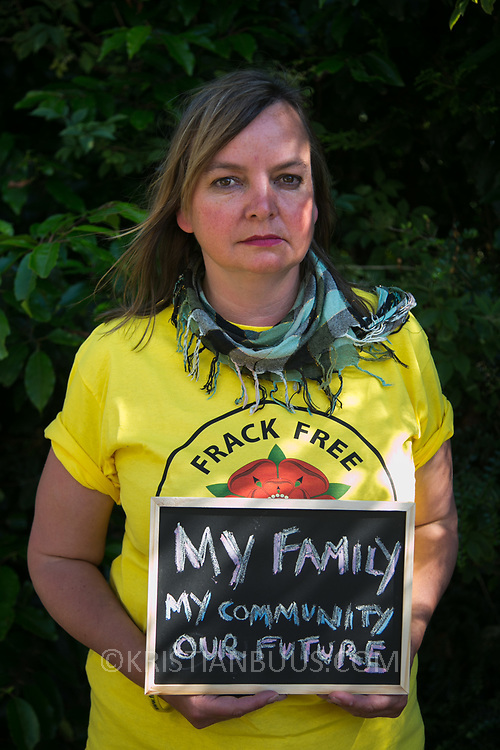 Fracking was rejected by Lancashire County council in 2015 but were overruled by central Conservative government and locals are fighting to stop the drilling and reverse the decision.